In our fast-changing and diverse world, many people want structure or a practice to celebrate and engage with the Divine and yet find that organized religions are not nourishing their souls nor providing the answers they need. • enjoy discovering and integrating the wisdom from different faiths into living their lives. 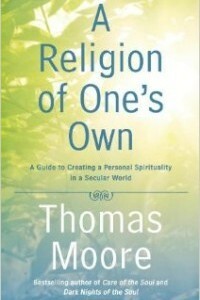 In his book, he shares a variety of practices for developing and supporting one’s personalized faith including using your inner guidance, art, nature appreciation, dream analysis, prayer, and mediation. Interwoven throughout each chapter are examples from his own and others’ lives on the help and power that keeping the sacred alive provides and what can happen if it is lost.